–	From Marvel’s Ultimate Spider-Man, Deep Immersion Spider-Man faces off with Anti-Venom! 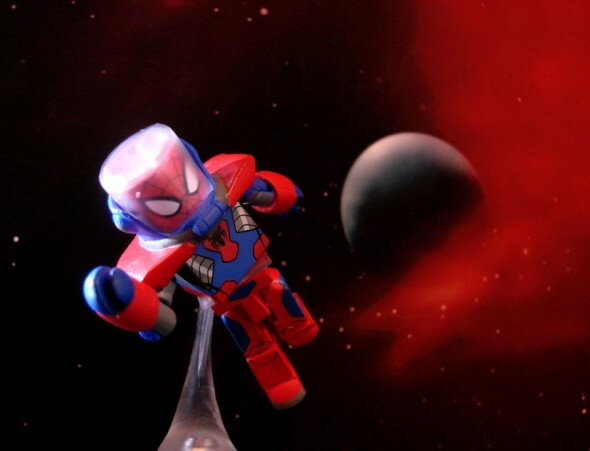 Spider-Man wears the suit he wears for underwater and outer space missions, with a removable dome helmet. 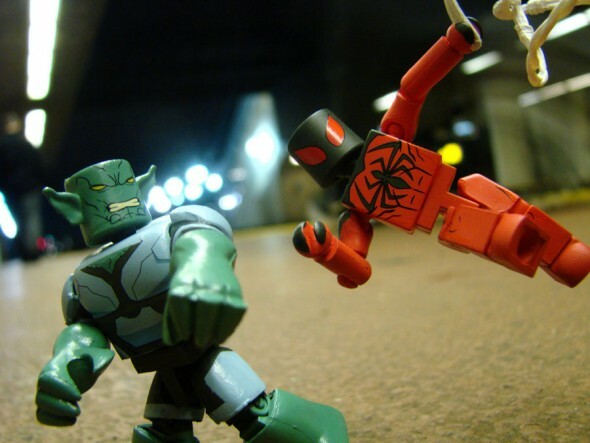 –	Also from Marvel’s Ultimate Spider-Man, the Scarlet Spider goes up against the Green Goblin! Spider-Man’s clone comes with a web line, plus two interchangeable hands with stingers extended. –	From Marvel’s Avengers Assemble, Speed Force Hulk chases down Speed Demon. This Hulk figure glows in the dark, to mimic the episode when he absorbed speed energy from the super-fast Squadron Supreme member. 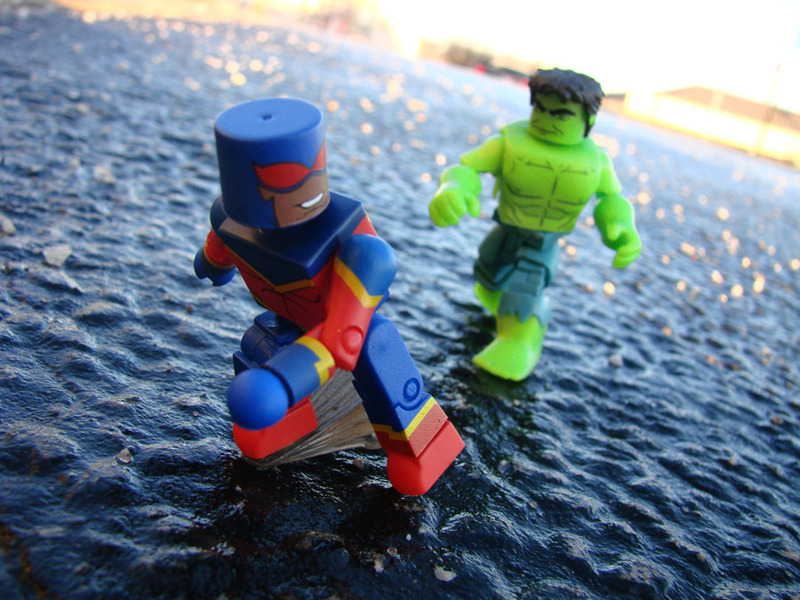 This is the first Marvel Minimate ever made of Speed Demon. –	Also from Marvel’s Avengers Assemble, the Iron Skull (a.k.a. the Red Skull in stolen Iron Man armor) teams up with the last member of the Squadron Supreme, Doctor Spectrum. 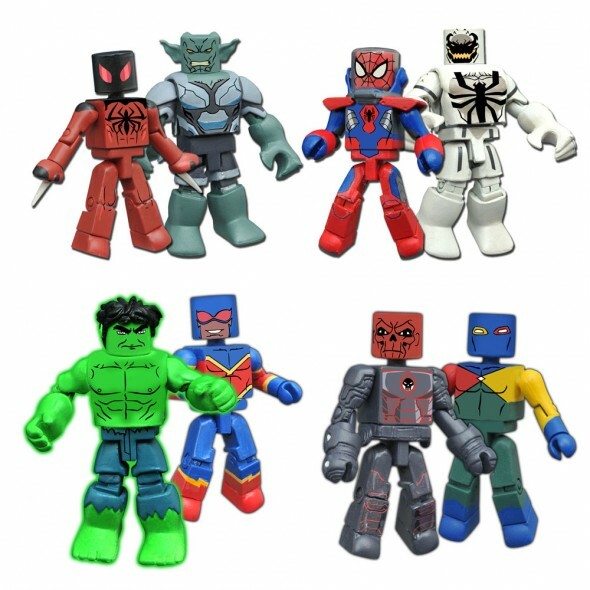 This is the first Marvel Minimate ever made of Doctor Spectrum! Each 2-inch Minimates mini-figure features fully interchangeable parts, so you can trade accessories and create custom looks. Minimates also feature a standard 14 points of articulation, to strike a variety of poses, and each Minimate comes with a clear disc base that pegs into the character’s foot to support dynamic poses. Next Up: Ask DST #344: Muppets, Ghostbusters & Batman!